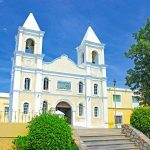 This picturesque village has retained its charm and heritage since its establishment as Mission “Santa Rosa de Las Palmas” in 1723 by the Jesuit Father Sigismundo Taraval. 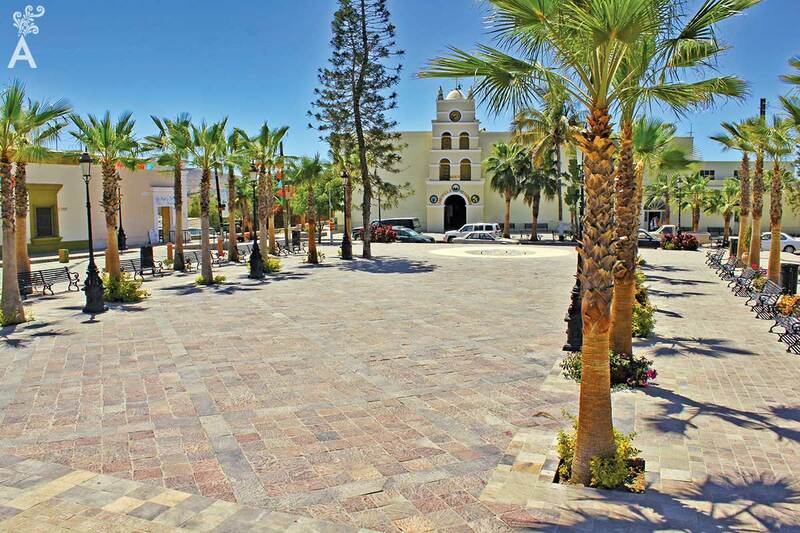 It was designated as the first Magic Town of the Baja California Sur peninsula on October 23, 2006. Todos Santos combines the experience of learning Mexican culture through interaction with the pleasant town, beach and oasis. 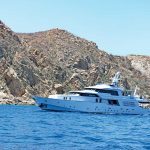 Todos Santos is located 46 miles north of Cabo San Lucas. When traveling highway N. 1 for approximately 15 minutes the small community of Migriño will welcome you. In this area you will find motorcycle and ATV agencies that offer tours through the desert and on the beach. The many colored lights each evening are without a doubt quite unique. It is an inspiring place and the perfect setting to relax and enjoy the goodness of nature. 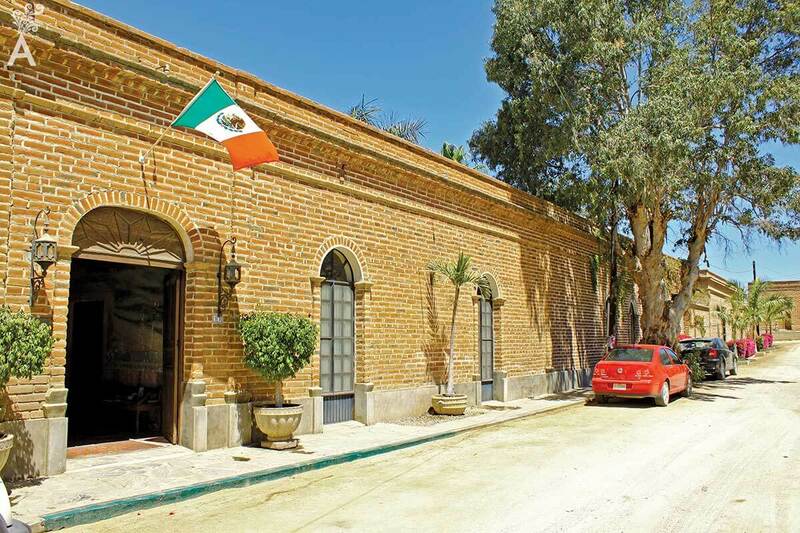 Todos Santos has become an artistic center for international artists. Visitors can find works in oil, acrylic, watercolors and various sculptures. In addition, the adobe and stone facades of the historic buildings have become cozy boutique hotels, coffee shops and restaurants. The traditional kiosk in the main square will take you through time. Cobble stone streets, balconies, doorframes and windows are a delight to photograph. 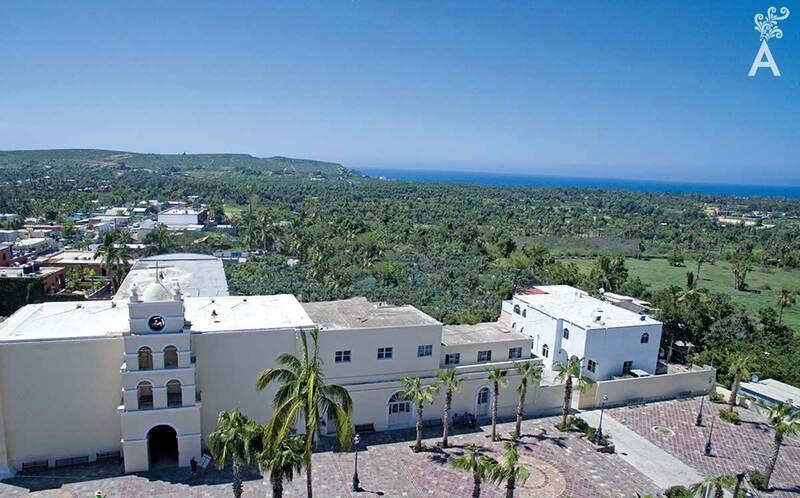 On one side of the square is the Manuel Marquez de Leon Cinema-Theater, the annual headquarters of the Todos Santos Film Festival. The Nuestra Señora del Pilar church is another attraction of this site. Just a few steps from the square you will find the Hotel Guaycura Boutique Beach Club & Spa. The establishment mixes the experiences of the village, beach and oasis. The architectural design and exquisite decoration harmoniously combine the old and the modern. The view of the ocean is spectacular from the rooftop bar. The beautiful white sand beach is an attraction in itself. The Faro Beach Club is the only beach club in Todos Santos and lies just past the Tropic of Cancer. Relax with a variety of spa services such as the heated infinity-edge pool, sauna cabin, sea massage, dressing rooms and showers. Designed with respect for the surroundings and nature of the region, El Mirador Ocean View Restaurant will surprise you with the spectacular view of the village, the Pacific and the Sierra de la Laguna while enjoying the shade of the majestic palapa. The romantic atmosphere of the sunsets and the exclusivity of the location will awaken your senses for the Contemporary Mexican Cuisine. The local ingredients harvested in the garden of the house add incomparable freshness to the dishes. 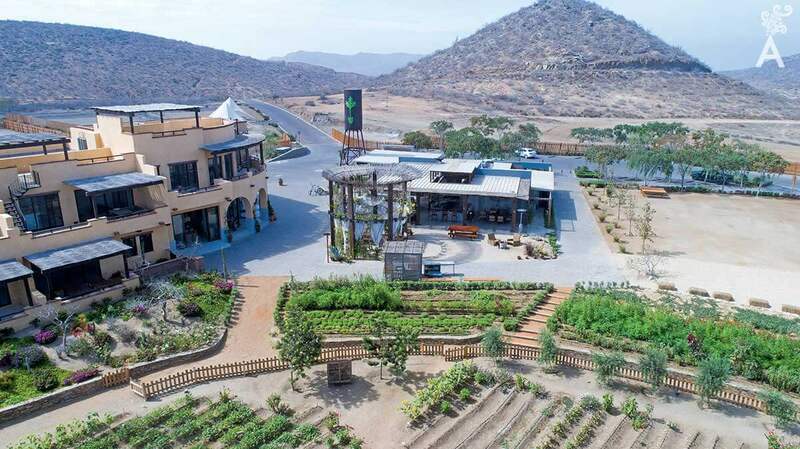 The temperate climate of Todos Santos allows the cultivation of diverse organic products. Jazamango invites you to experience a delicious culinary experience. Renowned Mexican chef Javier Plascencia presents the cuisine “bajamed” based on a mixture of local products and organic ingredients. The San Cristobal Hotel, named so in honor of the patron saint of travelers, surfers, sailors and travel guardians, is another lodging option. Located on the beach of Todos Santos, this intimate boutique hotel perfectly mimics the natural décor with tiled floors, colorful blankets, earthenware pots and wooden furniture. Framed by the mountains of the Sierra de la Laguna, Punta Lobos and the Pacific Ocean, San Cristobal Hotel is the ideal retreat to relax, enjoy the sound of the waves and enliven the spirit. 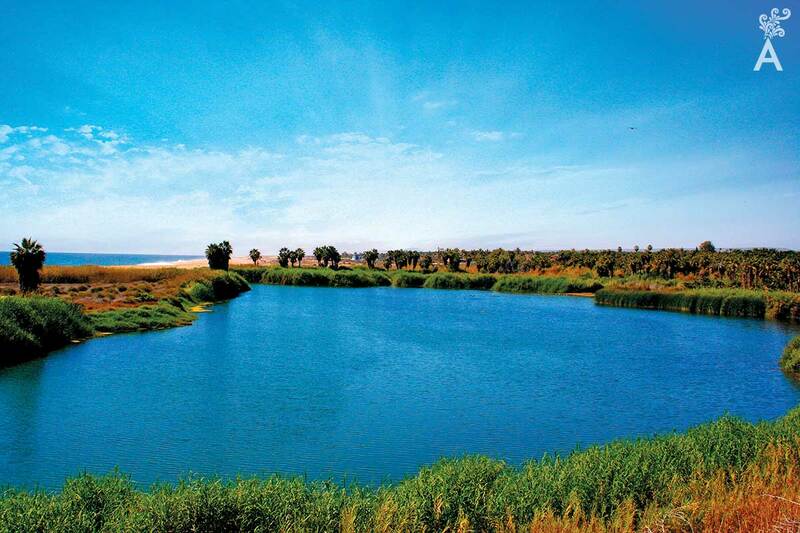 Todos Santos is a warm and fascinating place, a natural paradise where the desert meets the mountains and the sea. Discover the beauty of this Magic Town and don’t leave without visiting the famous Hotel California! 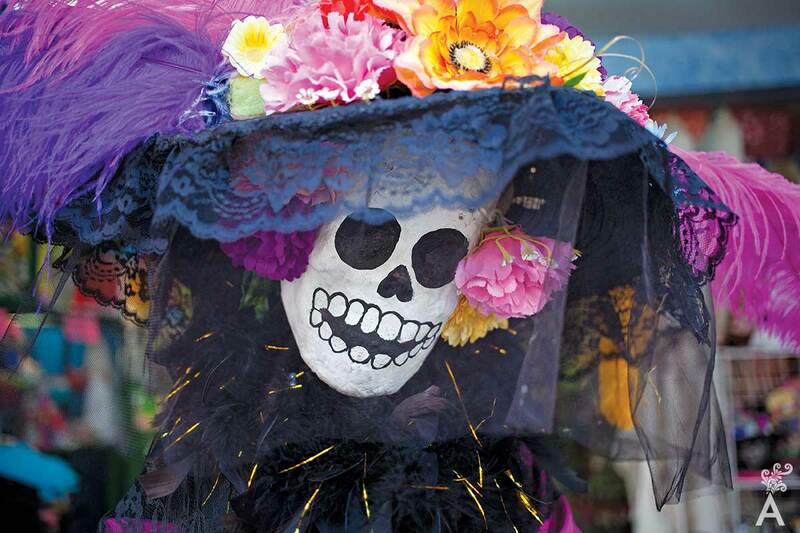 Todos Santos will be filled with magic and tradition when celebrating one of the most established fiestas in Mexico, the commemoration of the Day of the Dead. This popular ceremony is intended to remember loved ones who have died and invite them to live in the earthly world again. In addition to their favorite food and drinks, brightly colored flowers, candlesticks, confetti and cheerful music are used as offerings to welcome them. Pre-Hispanic customs were mixed with the religious beliefs imposed by the Spanish to create flavors and rituals that enliven the celebration of the Day of the Dead. It surrounds us in a family atmosphere to assemble the offerings and everything is wrapped in memories, melancholy and joy. One might believe there is no life after death or that the return of souls from the beyond is not possible. However, according to this oldest of Mexican traditions, it is probable on November 1st and 2nd. The festival has been declared an Intangible Cultural Heritage by Unesco.